Friends, it's been a fun journey blogging on this site. 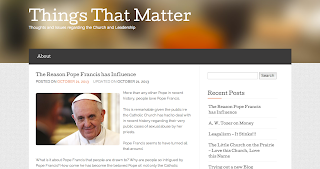 I will now be blogging over at Things that Matter as the wordpress site offers more options. Hope to see you at the new and improved site!